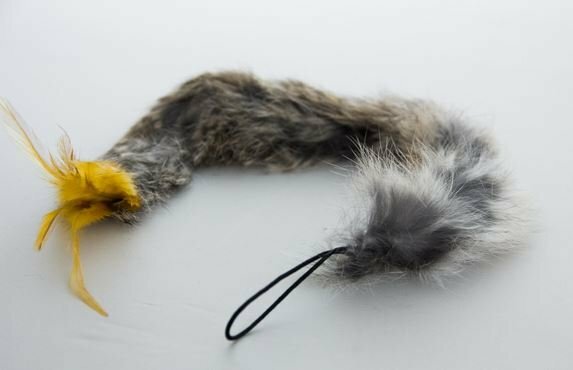 This soft toy is made of real 100% hare fur and some feathers. 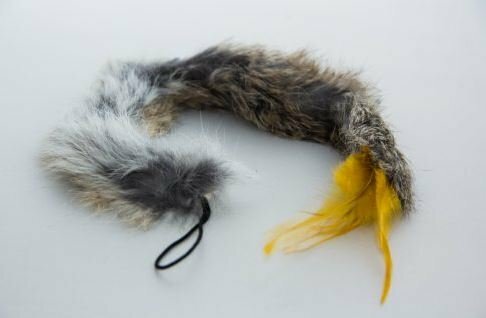 The smellof this fur stimulates the hunting instinct. The coat is from wild hares which have led a free life and are shot due to overpopulation. So we are sure that the fur does not come from farmed or mistreated animals. 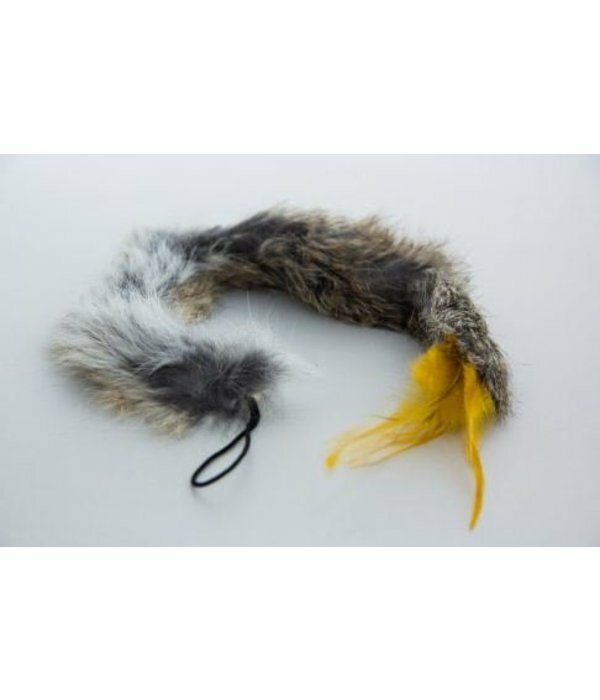 These toys are fun and can also be attached to the Flying Frenzy, Da Bird, Purrs or Tabby Tijger rod.